Alphabet Inc.'s Waymo self-driving vehicle unit and ride-hailing firm Uber Technologies Inc. settled a bitter legal dispute, allowing Uber's new chief executive to move past one of the company's many public controversies. The settlement announcement was made just before the fifth day of testimony was about to begin at a jury trial in San Francisco federal court. Uber agreed to pay equity valued at about $245 million US as part of the deal between the rival technology companies, a Waymo representative said. 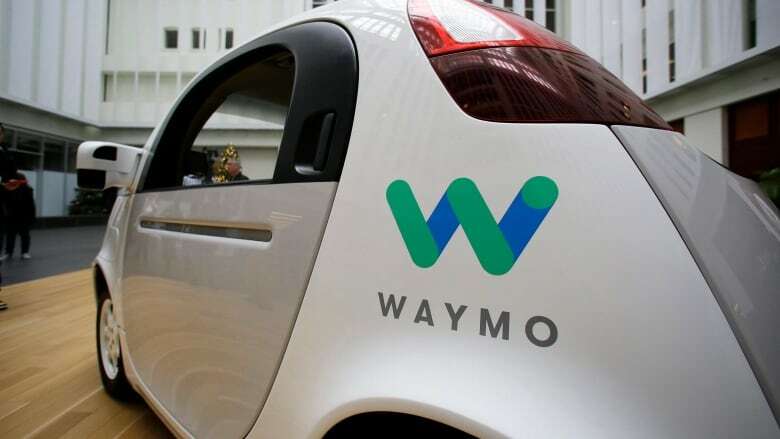 The settlement also includes an agreement "to ensure that any Waymo confidential information is not being incorporated in Uber Advanced Technologies Group hardware and software," a Waymo representative said. Uber CEO Dara Khosrowshahi expressed "regret" for the company's actions. "While we do not believe that any trade secrets made their way from Waymo to Uber, nor do we believe that Uber has used any of Waymo's proprietary information in its self-driving technology, we are taking steps with Waymo to ensure our Lidar and software represents just our good work," Khosrowshahi said in a statement. The settlement allows Khosrowshahi to put another scandal behind the company after the tumultuous leadership of the firm by former CEO Travis Kalanick, who testified at the trial on Tuesday and Wednesday. Waymo had previously estimated damages in the case at about $1.9 billion US, which Uber rejected. Waymo's lawsuit said that one of the company's former engineers, Anthony Levandowski, downloaded more than 14,000 confidential files containing designs for autonomous vehicles in December 2015 before he went on to work at Uber in 2016, leading the ride-hailing firm's self-driving car unit. The case had hinged on whether Uber used the trade secrets to further its autonomous vehicle program. Levandowski has never publicly addressed the allegations of taking the documents and law enforcement has not charged anyone with their theft. Levandowski was not a defendant in the case. Autonomous cars offer a multi-billion-dollar opportunity to remake transportation, and companies including Apple Inc , General Motors Co, Ford Motor Co, Volkswagen AG and scores of startups are competing to develop the technology. In Kalanick's second day of trial testimony, Waymo sought to portray him as so eager to improve Uber's lagging autonomous car business that he did a deal with Levandowski without properly assessing the risks.